"In July 1939, Loiwing Central Aviation Manufactur[ing] Company started production. Test fly [runwawy] of Loiwing CAMCO completed at the same time. In May 1939,the Government Aviation Committee also ordered to build another airport near Loiwing, called Nanshan Airport. Loiwing and Nanshan straight-line distance was only few kilometers. (Nanshan Airport was also called Field of Ruili Flying.) Nanshan Airport was completed in October 1941. The main runway was 1900 meters long, 300 meters wide; [the secondary] runway was 1200 meters long and 100 meters wide. Had 38 aircraft shelters ... open on three sides. Good drainage, underground oil [tanks], warehouse, etc... In the war against Japanese aggression, it was the second largest airport in Yunnan." A nice bit of multi-national research by Min Wang, Lieuwe Montsma, Hak Hakanson (Thailand), Matt Poole (Maryland, I think it is), and others. You can follow the developments on the Warbirds message board. Here's a contemporary photo of P-40s taking off from what is identified as "Leiyun" airfield, almost certainly representing AVG Tomahawks in the spring of 1942, operating out of Nanshan. For more about the CAMCO and AVG airfields, go here and and here . 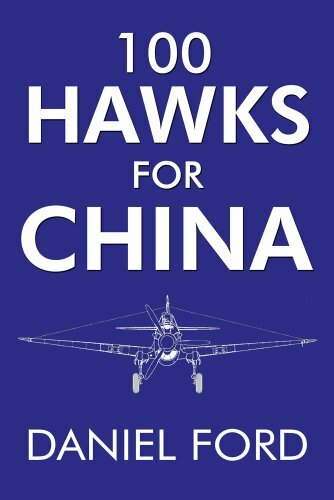 Flying Tigers: Claire Chennault and His American Volunteers: "The exciting story of this legendary fighting force that wore American uniforms but Chinese insignia." (WWII magazine) Get the paperback or the Kindle edition. Remains: a story of the Flying Tigers: "A cracking good yarn" (Air&Space magazine) Get the paperback or the Kindle edition. The Lady and the Tigers: Olga Greenlaw's 1942 account of her year with the Flying Tigers in Burma and China. Get the paperback or the Kindle edition. AVG Confidential: A Flying Tiger Reports to the U.S. Navy Noel Bacon on Japan's planes and pilots and and how to combat them. For the Amazon Kindle and other e-book readers. Posted March 2015. Websites ©1997-2015 Daniel Ford; all rights reserved.